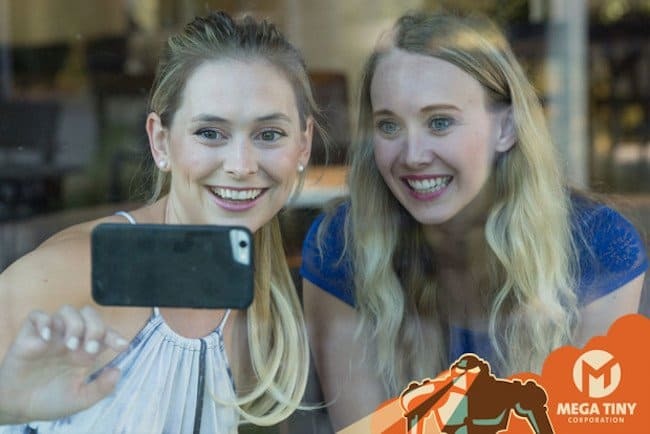 Are you an ardent iPhone consumer who never misses out on anything that the company introduces or anything that when decks up the gadget makes it all the more super cool? My friend is one such person who is in awe with Apple products. Currently he owns an iPad, iPhone 6s, Macbook Air and iPod. Well, you can now understand what I am trying to say! Recently, he was looking for a smart case for his one of the most loved gadget iPhone 6s. He recently bought OvRcharge that charges your phone in the air. Pretty cool, isn’t? So, while surfing for the right kind of case for the phone he tumbled around and found a case that left me stunned. So much so that I couldn’t resist myself from talking about it and introducing you all with the same. Below is the brief gist along with the a nicely prepared video (The background music I must say is super cool). 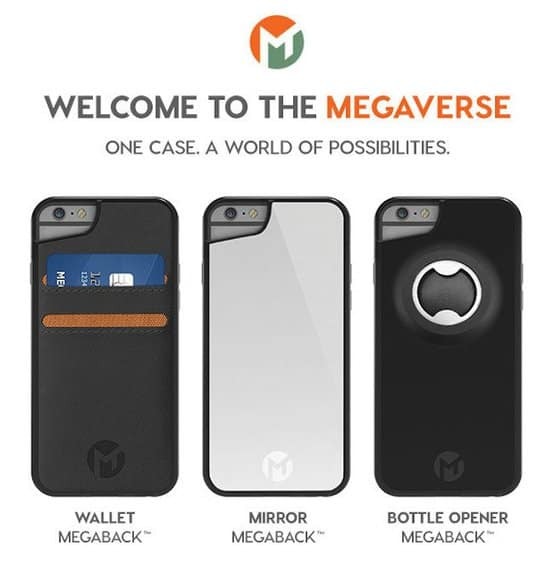 Coming to the point, this is a super cool iPhone case named Megaverse. 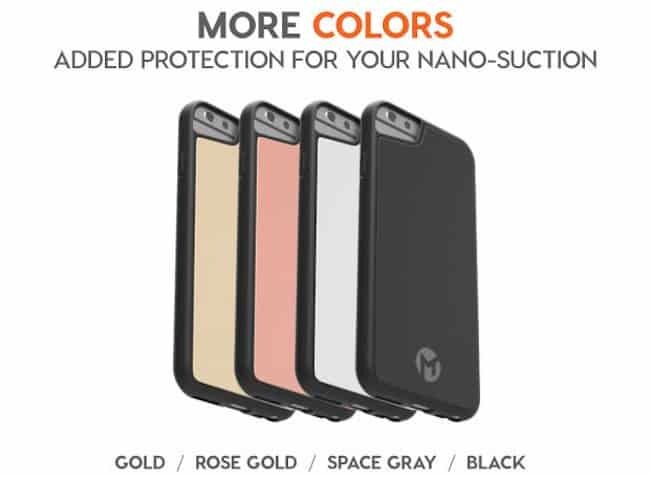 It’s the first modular anti-gravity case for iPhone 6, iPhone 6 Plus, iPhone 6s and iPhone 6s Plus and 6 plus. What’s the hype about? 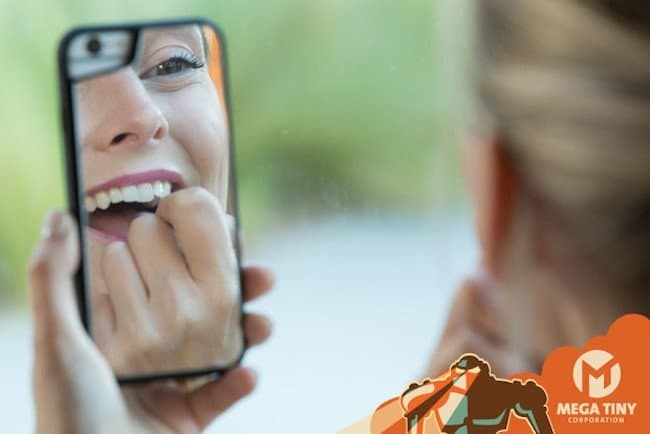 Well, it is a mirror, bottle opener, sticks to windows, whiteboards, tiles in fact almost anywhere and everywhere. 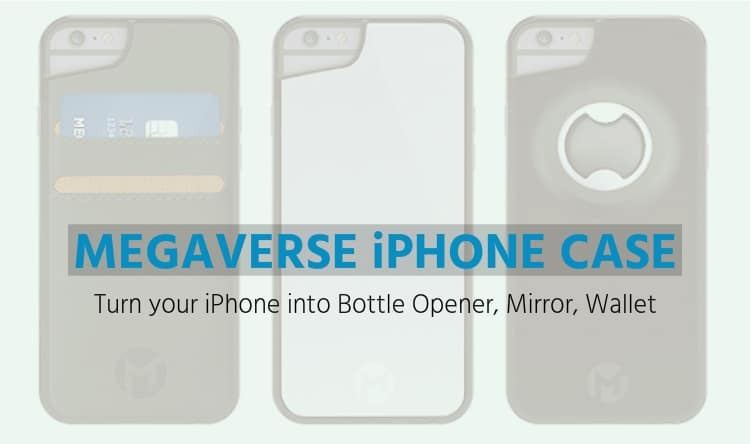 Megaverse is one anti-gravity case that is built with nano-suction capabilities to enable users to stick their iPhone to windows, mirrors, whiteboards, metal, cabinets, tiles, dashboards, on wallet or attach a bottle opener to it. The company has left spectators dazed and for this reason it has already surpassed its funding goal of $20,000. 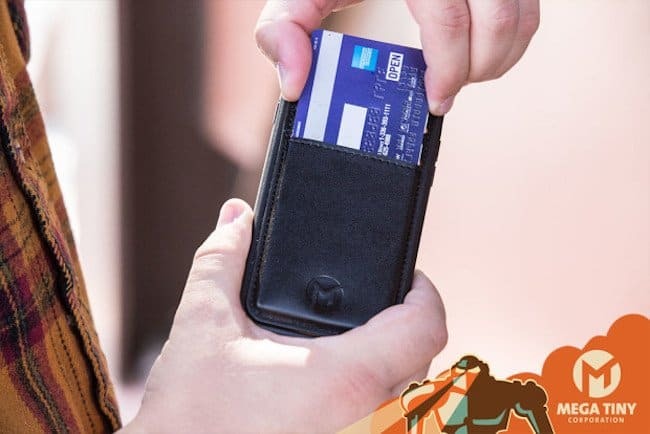 Lets users turn their phone into a wallet, shatter-proof mirror or bottle opener. 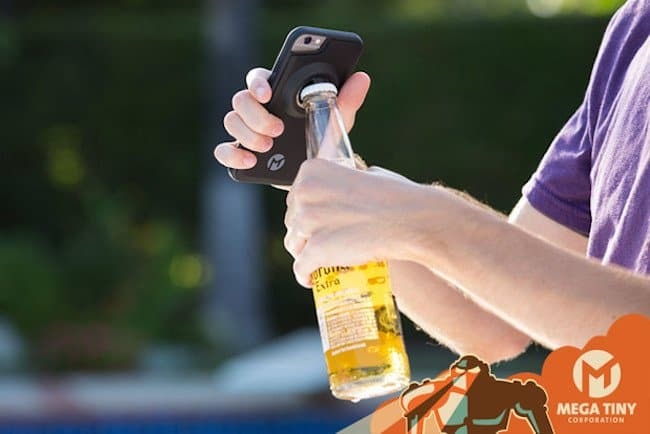 The sticky back case enables users to push their phone onto any smooth, flat surface. The little craters create suction thereby holding the phone in place. The nanosuction plate self-heals and is temperature resistant. 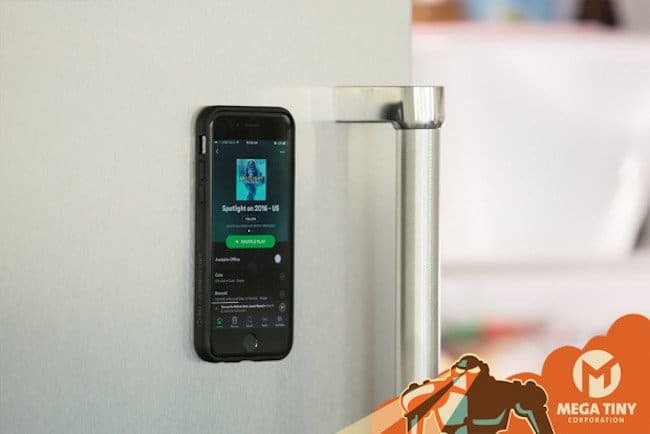 It sticks to windows, mirrors, whiteboards, metal, kitchen cabinets, tile and flat car dashboards thereby enabling users hands-free use. Do, I need to spare more words? I guess no! Infact, whatever is left, the video here says it all to make you understand what exactly Megaverse iPhone case does and why it’s a cool pick worth checking out. I am sure, even if you are running short of time, you’ll check the video and share it instantly with your friends and colleagues. Sneak a peek at the video and the images pinned here for your reference. My friend has already made up his mind to buy the case. What’s your take? Don’t you want to go for it now? Do let us know what you think of the Megaverse iPhone case and whether you are in love with it already or expect more to be there.